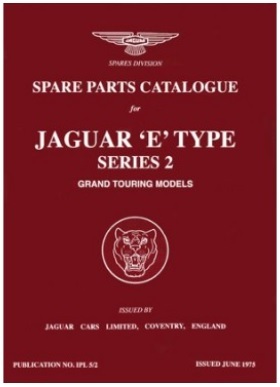 Jaguar's "Tuning and Preparation of E Type Cars for Competition Use"
New re-print of the original 1970's booklet. Quote "This booklet is intended as a guide for owners of Jaguar E Type models who, in addition to normal road use, may wish to use their cars on occasions for racing, it being understood that this model has not been designed as a competition car. The information provided covers essential items which should receive attention prior to participation in competition work and also gives details of a number of minor modifications which will result in improved performance without making the car unsuitable for road use, although naturally some slight sacrifices must be expected in this direction. The contents are not intended to be comprehensive but will serve as a guide for intending competitors"